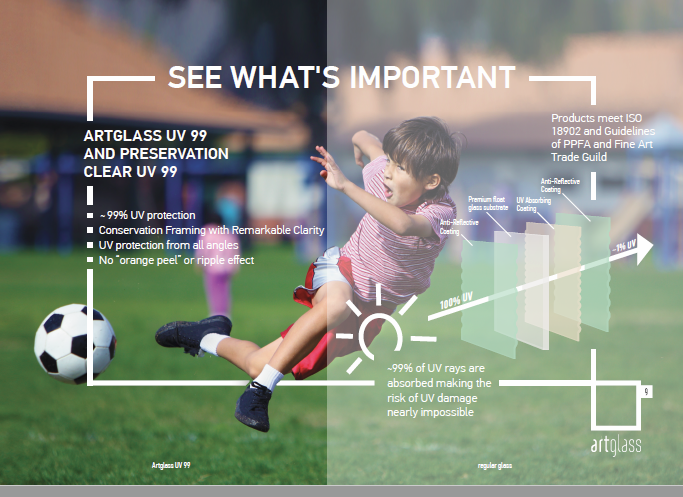 Artglass 99™ provides UV protection by blocking out 99% of harmful rays thus helping prevent the treasured keepsake from fading as well as yellowing of photographs, or paper becoming brittle. Choose conservation glass on your next framing project – offer 99% UV protection. 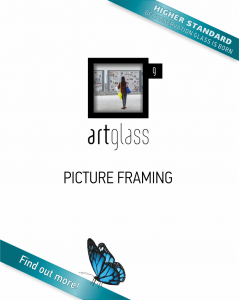 Artglass 99™ is your great choice for picture framing! UV damage is cumulative and irreversible to framed artwork. The sunlight rays will react with the surface of an artwork or photograph, and change its chemical composition as it breaks down the bonds in the paper, dyes and pigments. The result is brittle paper and faded colors.